This class is designed for ages 12 and up. No previous experience is necessary. 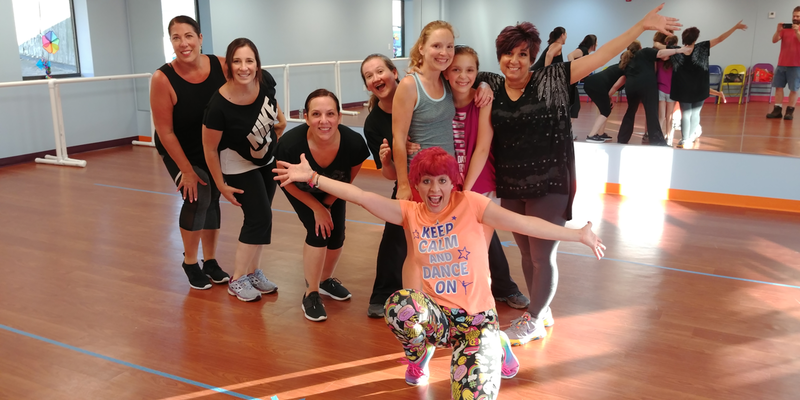 This class includes: light stretching, Body Groove movement, and a dance combination that is taught each class. All movement and dance skill are done at your ability and level of experience. Bring the kids to play while you dance with us. $5 additional fee for the first two children; $3 for each additional child. You decide to come once or twice a week: same great price. Drop In is available per class at $10 for Members and $12 for Non-Members. Fab-YOU-Us Family FUN Center is a place where families can play, get fit, and celebrate together! © 2019 Fab-You-Us! Family Fun Center Inc.